Hello everyone! So unfortunately, my computer kicked the bucket after 8 long years, so for the moment being I cannot edit anything until I get a new computer. However, I don’t want to leave you guys without chapter secrets this week, so I’ll try my best to do a rough version from my phone. Enjoy! 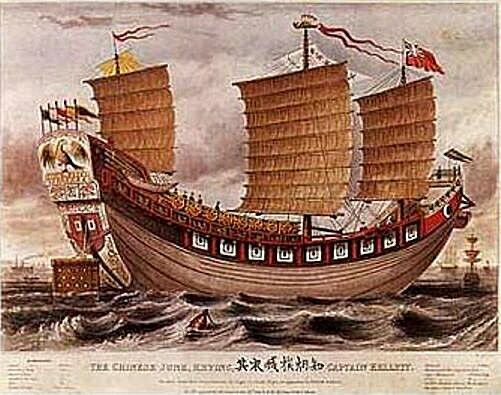 We now move onto Sai, getting a good shot of his ship, the Happosai, which is based off Chinese junks. 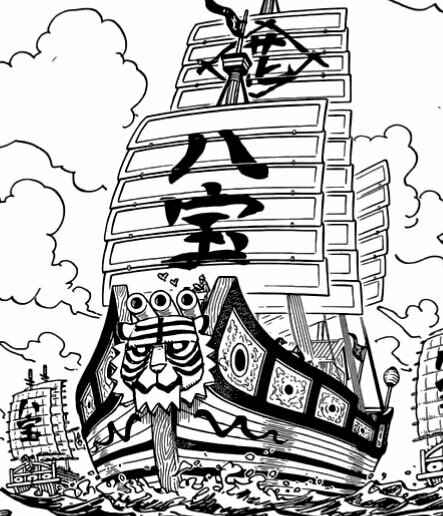 The characters on the sails are, fittingly enough, for “Happo”. Speaking of which, there they are! You can see some sparks come out of the forest, left by Zeus’s strike. 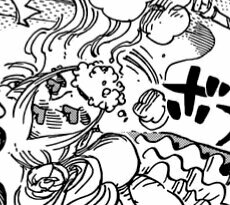 And if you look at the Sunny, you can see dust emerging from Brook and Chopper’s fighting. Among the nameless defeated soldiers, there’s a familiar face, being Gravlax! You can also spot several homies looking distraught at what just happened. 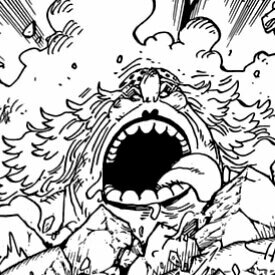 Jinbe and Luffy visibly feel the earth trembling because of Big Mom. 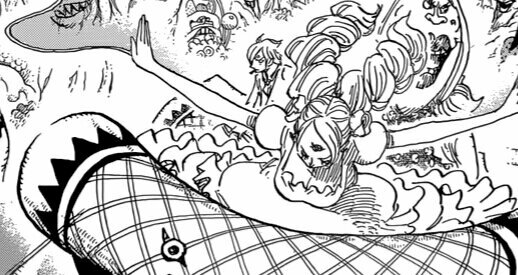 Big Mom shows visible damage for the first time (excluding the knees), which, given how tough her body is meant to be, speaks volumes for Nami’s feat. 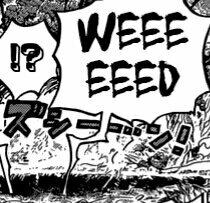 The onomatopoeia reads “Kyaa~”, further emphasizing Pudding’s kinder side. 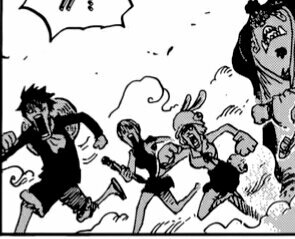 Priceless reaction from our heroes. 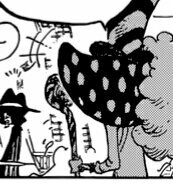 This means that Big Mom will chase them riding Zeus, while they escape on the Sunny. 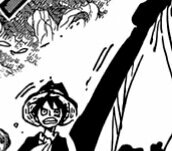 As Big Mom readies her attack, best homie readies himself too. This is obvious enough, but Flashback refers to the narrative mechanic of a character recalling a past event. In this case, the flashback takes place literally, with each homie recalling their past memories. 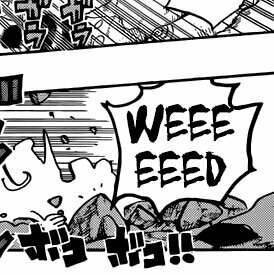 Also, glad to see Pudding actually using her powers. 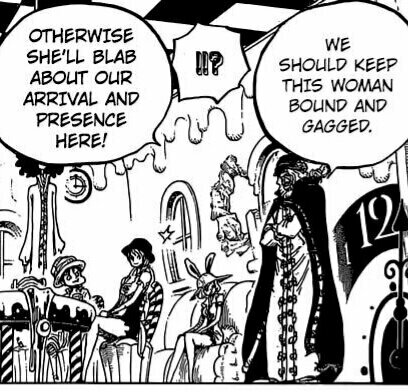 Seriously Perospero, what the hell are you doing here? 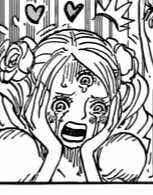 You said Big Mom could kill you and yet you get right in front of her path?! This guy deserves to be killed! 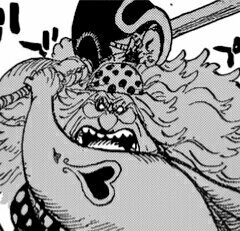 Some of you probably want to know my thoughts on the Pudding shenanigans, so here we go: I don’t like it. 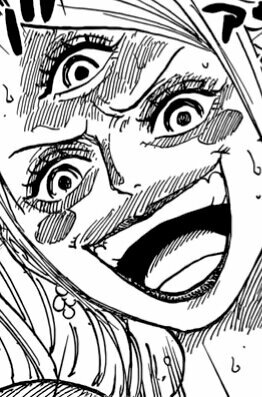 Personally, I thought that Pudding was a fantastic character, her betrayal was painfully genius, so seeing her being relegated into a joke character feels very disappointing. 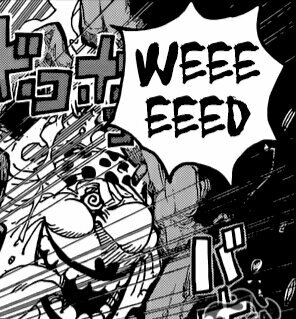 It feels like Oda can’t keep the lasting consequences of an evil female villain (an issue similar to his fake deaths) and had the necessity to redeem Pudding, but to keep her in character he had to resort to this. 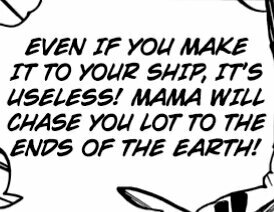 Though don’t get me wrong, I don’t thonk this is necessarily bad writing, just a poor direction of character. A divisive topic to say the least, I’m interested on what the community will think at the end of it all! 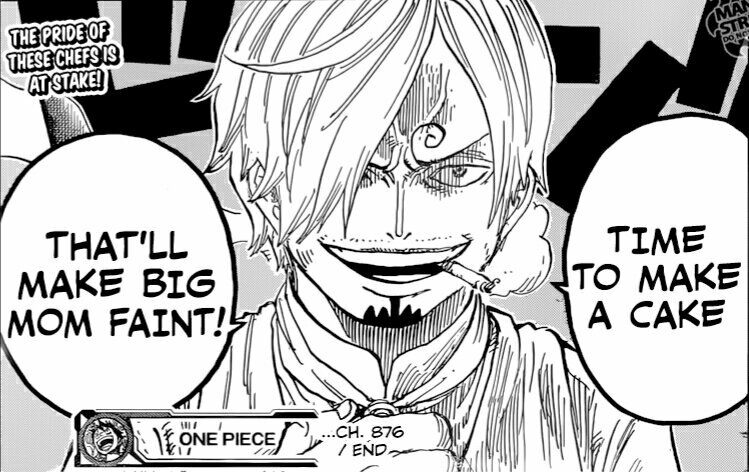 But by the way Sanji describes it, it seems he literally is planning to make her faint so that they can get away. Let’s get baking! P.S. : Sorry again for this format, I’ll try to get a computer as soon as I can. Thanks for your patience! 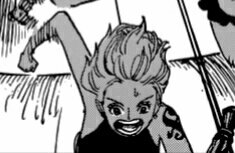 I’m glad you shared your thoughts about Pudding’s transformations, and I am also looking forward to reading what you have to say about the arc as a whole once it ends. An article about women’s portrayal in the series is also very welcome since I find that your thoughts are very coherent and your statements very objective, which I appreciate immensely. Either way thank you for your hard work! !